Each particular website we create is unique but the structure we use to develop is the same. From the initial to the last stage the client can closely monitor the progress and updates on the website as it gets created. The timeline of any project depends on the complexity and purpose of the website, whether the website design is for eCommerce or an informational website. We use different approaches for different jobs and we make it a point to acquire in-depth knowledge of each client. We pay attention to the client’s goals and plan the work according to those specific goals. The client knows his business and we know website design, so we combine these two to come up with a strategy that best describes the client’s company. The client can choose how they want to be involved. If the company does have a logo that can be our starting if it is necessary. We continuously engage and consult the client till we come up with a full website design. Our goal is your satisfaction hence we are always ready to modify at any point. With firm agreed strategies and an approved design then immediately we embark on the website development phase. All the programming done during this phase is written and online stores are set up. The ready content and products can, therefore, be added to the client’s store. Once the website’s work is completed it will be ready for the testing process. We have technicians full of expertise that are always ready to fix any potential problems and challenges which may threaten the maximum potential of the client’s website. Soon after the testing and full approval of the website, it is ready to be launched. Everything will now be ready to be run perfectly. Don’t forget to invite us to the launching party, be rest assured we will bring the food. Can you help me with getting a website design in Zimbabwe? Yes, we can design your company profile today! 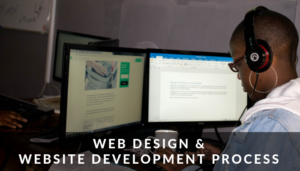 Why not give us a call on +263 776 260 360 or email us to discuss your website design project whether you are in Harare or anywhere in Zimbabwe. Get a free no obligation estimate or contact us to discuss your exact requirements.